Do you suffer from hexakosioihexekontahexaphobia ? 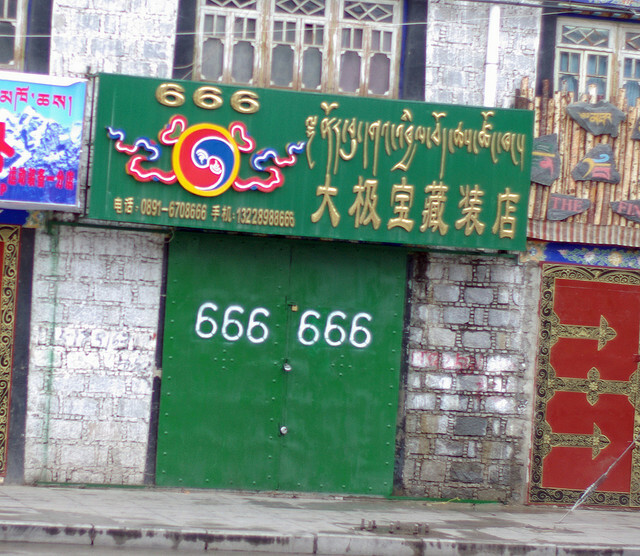 If so, you fear the number 666: the so called number of the beast. If you do, you are not alone; this series of three sixes strike fear into the hearts of many who ecounter it, even causing some people to protect themselves with the sign of the cross, although they may not enteirely be sure of the reason why. Since then, there have been many theories about to whom, or what, this description refers. 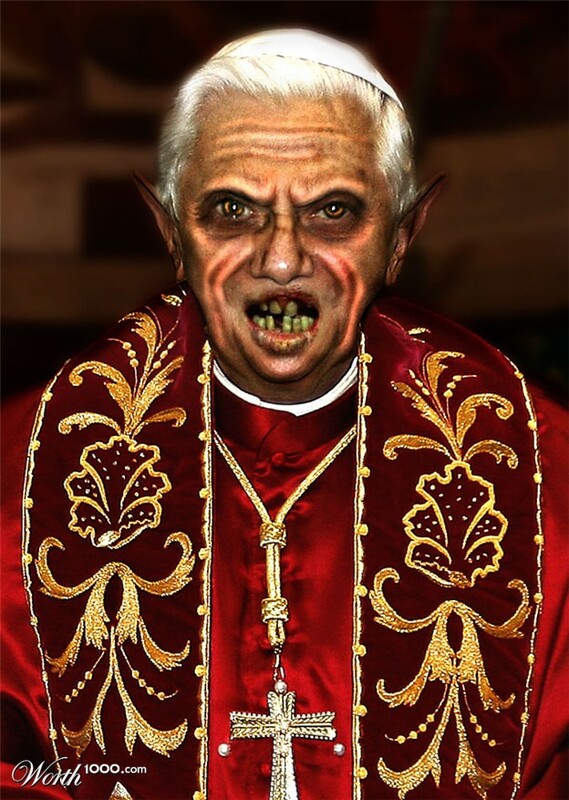 For Christians, it has come to represent a catch-all idea of an Antichrist, a title conferred at different times to various enemies of the Christian religion, including the Emperors Nero and Domitian, Genghis Khan, Napoleon, and Hitler. 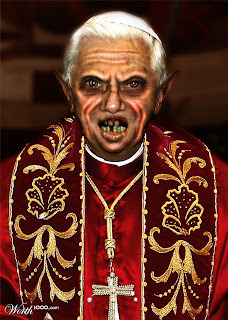 Even the Roman Catholic Church and various popes have been identified as the Beast. brand people in order that they will be able to buy and sell. Credit cards, barcodes, social security numbers and microchip technology have all come under scrutiny of conspiracy theorists, with varying levels of incredulity and paranoia. It's also interesting to note that the atom of the chemical element carbon, which forms the basis of all life on Earth, is comprised of 6 neutrons, 6 protons and 6 electrons. People who like to play around with the idea of being a dangerous, satanic type have adopted the number. These include the self styled Great Beast, Aleister Crowley, who made 666 a part of his personal sigil and spent some time experimenting with various interpretations of this nickname, eventually translating it into Greek as "Therion" since in this language the Gematria, or numerical value of "Great Beast" adds up to 666. Some latter day musicians, usually those of a heavy/death metal persuasion and now very popular in hip hop culture, share this fascination. The satanic connotations of 666 are ambivalent in the Kabbalah, however, where it is not only the number of the solar demon Sorath, the opposite of the Archangel Michael, but it is also regarded as a sacred number that depicts the entire Universe. 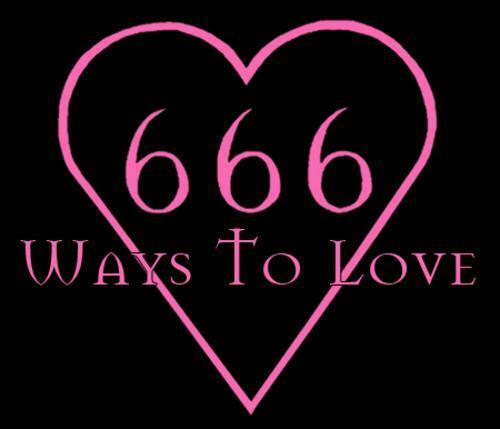 But research into the devilsih associations of 666 does not give us the true picture of this mysterious symbolic number, other than the referal to its referral in the New Testament. It is the number belonging to Hakathriel, also known as the Angel of the Diadem. And in Sacred Geometry, it is called the magic square of the Sun. 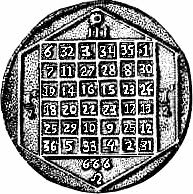 This particular magic square is constructed in such a way that the first 36 numbers add up to 111 on horizontal, vertical or diagonal planes. The entire square adds up to 666, and the numbers significance predates the Bible. Numerologically speaking, 666 adds up to the number 18, which breaks down to 9; given that 9 is known to be the number of man, perhaps this simple explanation is what lies behind the biblical quote; 666 refers to the material part of man-the beast-rather than his spiritual aspect. The architects of Chatres Cathedral may have known about the earlier significance of this number, since the labyrinth there measures exactly 666 feet long. In China, the number when spoken aloud, sounds like "Things going smoothly". This has made it one of the luckiest numbers in Chinese culture and so it is used on banners and good luck cards. 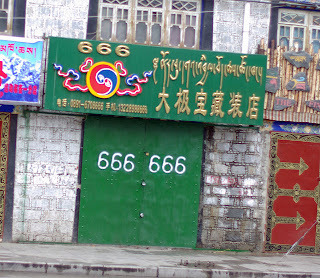 What do you think of the number 666 ? Is it directly linked to the Satanic occult of the coming of the Antichrist and the mark of the beast, or is it rather something far more simple or perhaps ancient ? The very idea that man adopted this number gives full meaning to the scripture. In a sense man ascribed that number to Satan. Though this number may have predated the bible, nothing predates God the very one who wrote it.